I made this recipe from The Pioneer Woman Cooks ages ago but forgot to post it. So good! You have to try it! I love herbs, and this recipe from Taste of Home delivers a powerful punch of flavor. It would be a great addition to your family's Easter dinner! It's simple to make, and the peas look so colorful next to the potatoes. Make sure you use MSPI-friendly margarine for the butter. I didn't have any marjoram on hand, so I substituted rosemary with great results. Cheese is the No. 1 thing I have missed the most on this diet. There are no good substitutes for the real thing, but sometimes you can trick yourself into thinking you're eating cheese! This recipe from Shmooed Food is a great cheat! I made the recipe as written, accept for one change. Instead of using the cashews, I substituted a can of white beans. (I also tried using a can of chickpeas, but I preferred the white beans.) The consistency to a real cheese sauce was surprisingly close! The flavor of the nutritional yeast is pretty strong, so be prepared for that! 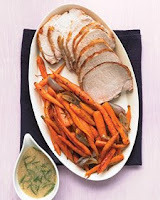 This recipe from Taste of Home is so good and good for you! There are 3 grams of fiber and only 1 gram of fat in each serving. I made the recipe as written, but I think the next time I make it, I will cut back on some of the sugar. Even healthier! Yes, I've been an absentee blogger as of late. I have very good reasons, though. The kids were sick with a stomach bug, and it took JD more than a week to get back to normal. Darn that MSPI! He was having a milk reaction (from something I must have accidentally eaten at a restaurant) when the bug hit him. Since his gut was already compromised from the MSPI, it took forever for the flu to pass. Poor kid! He was miserable! Also, we've been out of town and trying to catch up on life. So we've been busy, but I have lots of recipes to share! I promised several friends that I would post this recipe from my friend Joy. It's so good and easy. She likes to serve it with crackers, or you can put it on bread or a bed of lettuce. Very yummy! Combine first six ingredients. Mix together last three then pour over salad. Serve. Keep leftovers refrigerated. I try to plan out our dinners for the week -- although I often forget and don't get items out of the freezer to thaw or run out of time, etc. So spaghetti is a favorite meal to substitute, but it does get old. 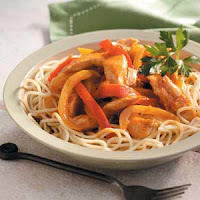 This recipe from Taste of Home is a great twist on Italian spaghetti. Just be sure your fajita mix is MSPI-friendly. (I actually used taco seasoning, which worked well.) I didn't have green chilies on hand, so I left them out. And I definitely don't think the dish suffered for it. Very good! MSPI Mama reader Jamie posted this recipe on her blog. She's able to eat soy, thus the tofu in the recipe, but she recommended making it MSPI-friendly by substituting chicken for the tofu. Just be sure to double check the other Asian ingredients for soy-free versions. You never know when that pesky soy will show up! I haven't had the chance to make this yet but am looking forward to it. Thanks, Jamie, for sharing with us! I love snack mixes! Sweet, savory -- I love them all! 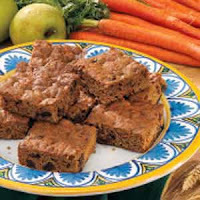 Here's a recipe from Chex that can be made MSPI-friendly. Make sure you use safe margarine and substitute regular raisins for the yogurt-covered variety. Just toss the raisins in with the dried apples. Cooking them makes the raisins plump up! So I've been posting a lot of Everyday Food recipes lately, but can you blame me? They're so good! This recipe was a huge hit in our house. When my husband saw we were having carrots, he said, "Oh, carrots." But then when he started eating them, he couldn't believe how good they were! The roasting process really brings out their natural sweetness. I didn't have any shallots on hand, so I substituted two quartered onions. This meal would be great for company!